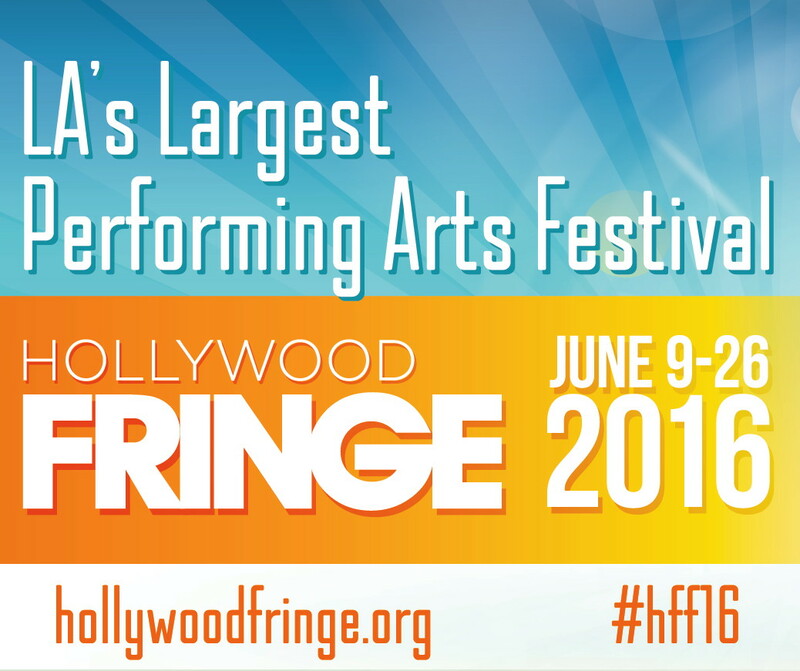 Now in its sixth year, the 2016 Hollywood Fringe Festival is about to kick off. From June 9 – 26, 2016 more than 1,400 performances and events will take place in over 30 venues throughout Hollywood. Go to their official site for all information. Tickets are now available for all Fringe productions. To purchase tickets, visit www.hollywoodfringe.org/discover and search for shows by day, venue, category or tag. Festival-wide community discounts are available for all who purchase the Fringe Button. — which is only $5.00. The perqs of wearing a button include $1 off all show tickets, drink discounts at Fringe Central, various deals and discounts around town, and access to Fringe-run events, such as the annual Opening and Closing Night Parties. The button can be purchased for $5.00 online here. Or you can pick up a Fringe Button at Fringe Central — at The Dragonfly, 6510 Santa Monica Blvd., Hollywood — just prior to the beginning of the Festival, June 8th, and thereafter.